Show off your medals! Bring your family and friends! 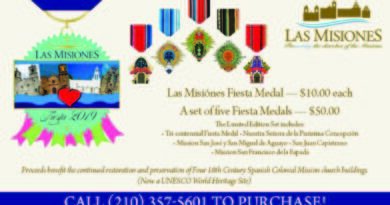 PURCHASE: Call or Text Raquel Murillo (210) 812-1333. 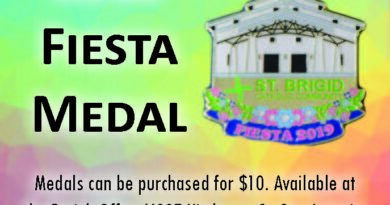 Purchase your St. Rose of Lima Fiesta Medal while supplies last-$10 PER MEDAL. 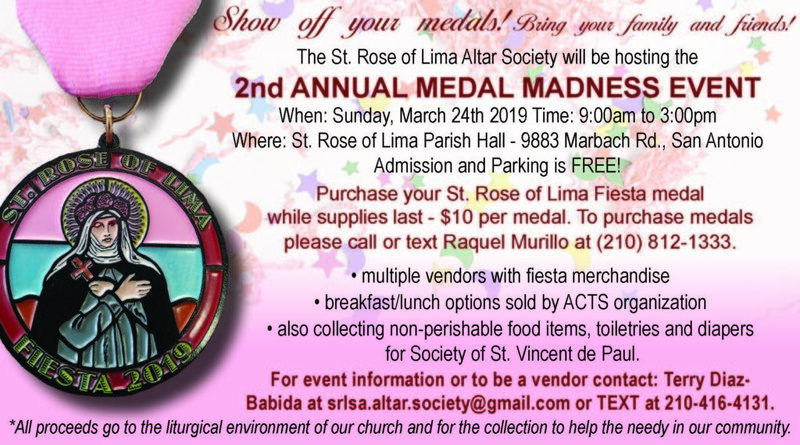 For event information or to be a vendor contact: Terry Diaz-Babida at srisa.altar.society@gmail.com or by TEXT (210) 416-4131. 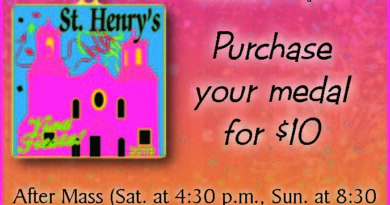 *All proceeds go to the liturgical environment of our church and for the collection to help the needy in our community.